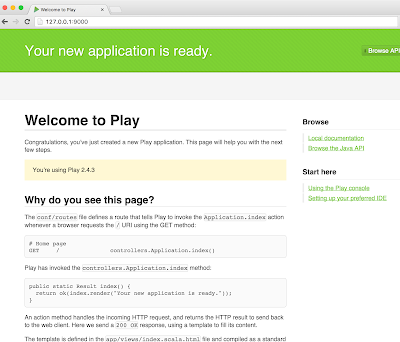 We are going to check how Play connect http requests with our code. F.x. when user hits http://localhost:9000/ what happens? 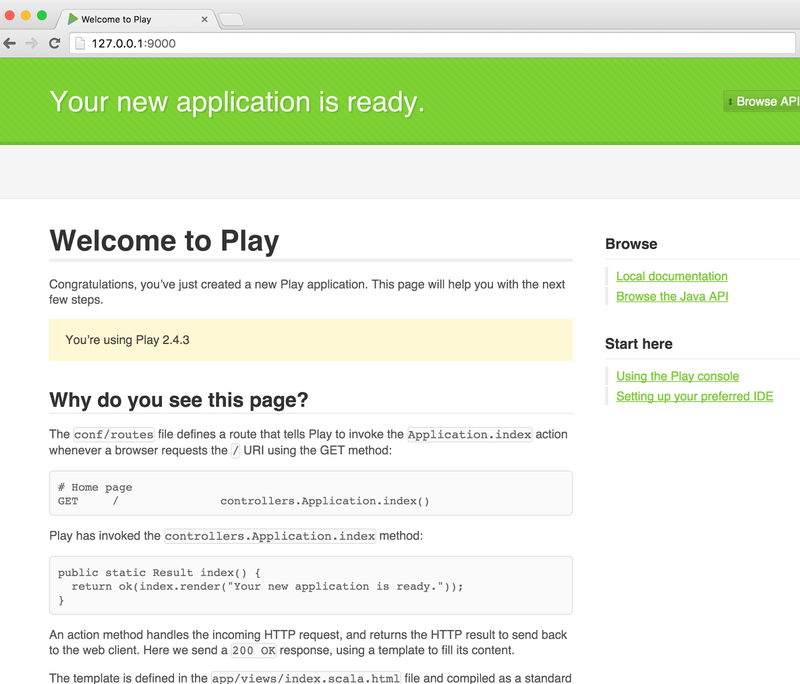 There is already built in http router in Play Framework. It allows to connect incoming requests with Play Action and therefore with public method in a controller class. If there are few routes are matched for the same request then the first one in a configuration file will be used. Requests that come to application based on Play usually are processed by thing which is called action. We see an action index that return Result (HTTP response which we send to web client).